Amid criticism, Delaware regulators postponed a hearing to discuss Bloom Energy’s request for an air quality permit, which would allow it to swap out old fuel cells near Newark and Red Lion for new models of the electricity generators. “The hearing was rescheduled out of consideration for the public with regard to the holiday season,” DNREC Secretary Shawn Garvin said in a statement. Bloom’s many boisterous critics in Delaware had claimed the Dec. 27 date, between Christmas and New Year’s, would depress public participation. 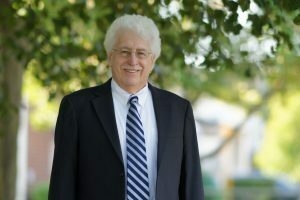 “I agree that scheduling this hearing in the middle of the holiday period is an affront and insult to the public and formally request that the date be changed,” Rep. John Kowalko, D-Newark, said in an email last month. State law mandates that Delmarva Power ratepayers in Delaware purchase a portion of their electricity from Bloom’s natural gas-fueled generators in order to satisfy a renewable energy mandate. “We are eager to explain the air quality benefits of the proposed project and the reasons we believe the permits should be granted,” he said in the email. Bloom’s stock price collapsed last month after its Delaware announcement, presumably because investors were surprised that the company would have such a significant capital expenditure in front of it. They are in line with expectations “to replace older generation systems with newer models that have a longer replacement cycle, lower heat rates, higher efficiency and smaller footprint,” he said in a note to investors.